In the government’s opening statement, head prosecutor James Trump told jurors that Sterling had committed crimes of betrayal due to his “anger, bitterness, selfishness”—a theme and theory of the case that the Obama Justice Department was to reprise often with its mosaic of CIA testimony and its boffo PowerPoint closing argument: claiming that Sterling became vengeful against the agency when he failed to win his legal complaint against it for racial discrimination. The prosecution was gratified two weeks later when the nearly all-white jury, which included no African-Americans, voted guilty on all counts. Few news reports about the verdict provided any context, but that was true of the entire trial’s overall sparse coverage. During the seven days of proceedings, I rarely saw more than five other journalists in the courtroom. 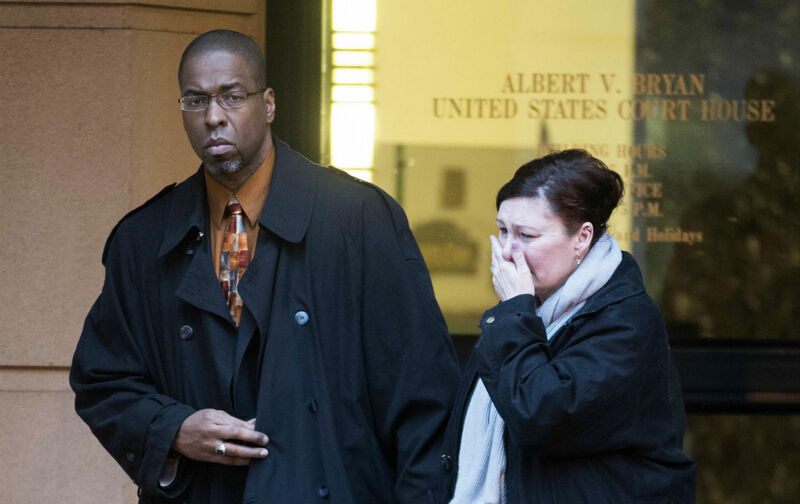 But the trial for United States of America v. Jeffrey Alexander Sterling was extraordinary, for reasons far beyond the fact that it was the first time a jury considered Espionage Act charges that a CIA employee had leaked classified information to news media. During the first half of the trial, the prosecution was often fixated on insisting that Operation Merlin was a nearly perfect program implemented by a nearly perfect agency. The government condemned Sterling for having a very bad attitude in addition to doing a very bad thing. Hour after hour, he stood accused of wrongly disparaging the CIA’s über-wise competence—legally to Senate Intelligence Committee staffers, and then illegally to the world, via Risen. A cast of twenty-three CIA witnesses played their “national security” roles as agents of patriotic virtue. And Condoleezza Rice did a dramatic star turn (the press showed up for that one). Rice testified to the great importance of Operation Merlin, explaining that she carefully stuck to the talking points provided to her by the CIA when, as President George W. Bush’s national security adviser, she hosted a meeting with Times reporter Risen and Washington bureau chief Jill Abramson—an intervention by the White House that succeeded in keeping the scoop out of the newspaper (and away from the public, until Risen’s book came out more than two and a half years later). The meeting took place at the end of April 2003, just a few weeks after the invasion of Iraq. Q:—and any other administration, correct? Q: And certainly counter proliferation was of great interest at this particular time, correct? Q: The United States had invaded Iraq the earlier month? Judge Leonie Brinkema: Well, we’ve heard that before. Let’s just move this along, Mr. Pollack. Sustained. Rice’s superstar appearance was in sync with what one attorney called the “hocus pocus” of the trial, complete with a tall office divider that kept many of the CIA witnesses screened off from public view. For no evident reason other than to impress jurors with the sanctity and gravity of classification, the prosecution distributed to the jury a file stamped “SECRET” in big letters across the front, before the judge ordered a bailiff to take the file back only minutes later. The heavy-handed message was that top officials who knew best were operating with the kind of essential secrecy that the defendant had dangerously breached. For prospective whistleblowers, the Sterling case is yet more proof that they can “go through channels” to express concerns only at their peril. Particularly in security-state realms—as the experiences of NSA whistleblowers William Binney, Thomas Drake, Edward Loomis and Kirk Wiebe have shown—using the much-ballyhooed official channels to report concerns is a flag that draws official retribution. During Sterling’s trial, the prosecution repeatedly used against him—as supposed indications of hostility toward the agency and motive for wrongdoing—the fact that he had gone through legal channels to file suit alleging racial bias and to report his concerns about Operation Merlin to Senate Intelligence Committee staffers. While defending the rights of journalists, some press-freedom advocates haven’t seemed to mind much when a whistleblower goes to prison. Others, even more disturbingly, seemed to express satisfaction at the Sterling verdict, as proof that the government had been wrong in its claims in prior years that it needed Risen’s testimony to gain a conviction. This theme was sounded by Attorney General Eric Holder right after Sterling’s conviction, when he issued a statement that crowed: “As this verdict proves, it is possible to fully prosecute unauthorized disclosures that inflict harm upon our national security without interfering with journalists’ ability to do their jobs.” This attitude is a wedge being driven between journalists and whistleblowers—shorn of euphemisms, it often amounts to journalists good, whistleblowers not. But to support journalists and not the whistleblowers who provide them with information is akin to cheering only the last baton-holder in a relay race. The Justice Department’s legal siege of Sterling, which has spanned two administrations and 10 years, can be understood as part of a regimen that winks and nods, or wrist-slaps, when classified information is leaked from on high—often to manipulate public opinion—while fiercely prosecuting alleged leakers who expose government officials or policies as inept, destructive or mendacious. The Senate Intelligence Committee’s recent report on torture documented that the CIA press office itself gave classified material to favorite journalists to make the agency look good. Even when major leaks from powerful officials are unauthorized, the penalties are nonexistent or tiny—as exemplified by the April 23 sentencing of former CIA Director David Petraeus, who gave briefing books with highly classified information to his journalist paramour and then lied to the FBI about it. Petraeus received no jail time after a cozy plea deal with the Justice Department. The same Justice Department declared that an appropriate prison sentence for Sterling would be in a range of 19-24 years. There was grim symbolism in the eleventh-hour postponement of Sterling’s sentencing until May 11, rather than the long-scheduled date of April 24. The original date—just one day after Petraeus’s sentencing—would have provided an especially stark contrast. Such clarity from big media remains unusual. But similar assessments are becoming more frequent and vehement—as more people recognize the grim injustices for whistleblowers and the dire consequences for democracy. Amid all the convoluted doublespeak from the Obama administration, Jeffrey Sterling is paying a tragic price.